The study aimed to focus on the leadership style of a private school “American International School – Riyadh, Saudi Arabia” however, the paper focus on the principal’s best practices and what steps are taken in order to do the improvement in the school. Thus, it is a private school in Riyadh, Saudi Arabia. The case study that is developed focused on the mixed methods and the methodology approach, several leadership styles are focused to know about the school’s improvement. On order to know about the principal action and the best practices that are taken in the school so that the school performance led to the improvement factors. For the research, the MLQ questionnaires were developed so that the responses on the principal’s leadership style could be known. The focus of the research is to known about the last five years performance and measure for the school’s improvement. For the purpose of the research the interviews was conducted with the principal and the vice principal of the Riyadh, Saudi Arabia private school. From the observation of the facts, the data able to give insights and able to do the MLQ analysis of the principal leadership, from the analysis it is known to us that she is highly transformational, she also show the characteristics of contingent reward leadership and the instructional leader. She is focused on the distributive leadership and instructional leadership practices. She likes to hire the teacher, who are qualified and talented, thus, her efforts are to supporting and developing teachers with the help of the shared leadership. There are also the limitations in the research as there was the short time, there can be hidden views of principles, therefore, in depth, and longitudinal research is needed for the future practices. Previously, many studies have conducted on the role of leadership in the educational sector. This paper focuses on the leadership role, its effectiveness, in schools environment. How different types of leadership can affect schools’ processes, management and employees, and students’ education. The study is conducted by private American International School – Riyadh, Saudi Arabia. A person who leads a group, organization, or country is called the leader. Leaders influence followers, give direction and motivate them to achieve their goals. Leadership plays a significant role in originations. In educational context, a leader, can increase employees’ performance and enhance the productivity of a school. In schools, a principle can play a role of a leader and can direct employees and students to achieve their goals. Studies have revealed that principles influence students for achieving high-level scores. The role of principle has a great impact on schools performance and effectiveness. A positive relation between principle, management, and teaching staff can influence students for achieving high grades. The role of principle goes beyond managing staff and assigning a task. A principle is expected to bring creativity at the workplace by motivating school employees and students. A leader’s style of providing direction, motivating people, and implementing plans are called leadership style. Many leadership styles can be used according to organization’s objectives, and other situations. Numerous researchers have found five major leadership styles such as autocratic, transactional, laissez-faire, transformational, and participative. Every leadership style has different characteristics and is applied according to the situation. Several research papers have examined principals’ leadership style in the context of Saudi Arabia. A principle can influence teachers in the decision-making process by showing own examples. The leader sets goals for organizations and motivates people to achieve those goals. The research aims to study leadership of school principle, the relationship between school effectiveness and leadership style, and effectiveness of schools. Many organizations have implemented different leadership styles and improved their internal and external procedures. School leadership is ever changing and vibrant. Leadership plays a significant role in developing school’s culture. (Voon, 2011). Furthermore, transformational leadership is a modern way of influencing teachers and students. This style of leadership plays an important role in developing school’s culture. Before perfecting the art of transformational leadership, leaders must have a base of transactional management skills. A principle must lead through inspirational leadership for creating perfect balance between management and school goals (Alhareth and Ibtisam, 2014). The researches focused on the era of change as with the time, there is the changing in the teaching in Saudi Arabia and the other countries, however, the positive environment is focused so that there can be the encouragement in the role of the people. The Ministry of Saudi Arabia is focused on providing the better education to the students. School’s vision is directly related to students learning and leadership approach should help school in achieving its goals (Alnahdi and Abdulaziz, 2015). Leadership model should incorporate traits of transactional, instructional, transformational, informational, and inspirational leadership styles and it should provide positive basis to schools. According to some studies, integrated leadership approach has positive and negative effects on both students’ achievement and job satisfaction of teachers. However, some educational institutes often fail to apply a leadership. They do not focus that management and students learning problems can be solved. Researchers have attempted to figure out characteristics of an efficient school leader. A school principle must develop some leadership traits for managing school effectively. Some of these characters are ability to set goal, having a clear vision, influence and motive employees and students, open communication skills. There are different educational leadership standards that are used to enhance students learning. These standards include ethics, assessment, equity, teachers’ professionalism, and improvement of schools. The most important leadership styles for school principle are transformational and instructional leadership. However, instructional leadership has ignored from past a few years. The data collected from the school, focused that students are given the proper attention and that the students are focused psychologically or not, the results obtained that there is higher frequency of the parents and teachers who are developing the clinical interventions (Alqahtani, 2010). In the schools of Saudi Arabia, there is the sense of well-being and the students are focused to provide with the innovative curriculum standards. The federal emphasis is to provide women with higher education; the medical section is also acceptable in the schools (HASAN and GUPTA, 2013). The study is also in the problem based learning and collaborative leadership gives emphasis on employee’s empowerment, while transformational leadership focuses inspiring teachers and students to achieve their goals (Rukban, Khalil and Al-Zalabani, 2010). Transformational leadership effects teachers’ behavior instead of instructional practices. Principal adopts new techniques and inspire teachers and students. Studies have concluded that schools can use all types of leadership depending on situation; they should not be limited to only one style of leadership. Performance of schools can be improved by choosing a right leadership style. School’s performance is closely related to principal and his practices that he implements in school’s premises. Studies have concluded that transformational leadership is preferred and practiced in Saudi schools. A principal can influence teachers and students to increase performance and productivity. As discussed before, principals should not depend on only one style of leadership they should use the mix of all styles (Beycioglu, 2014). The author claims that schools success can be determined by teachers’ performance and students’ outcome/grades. Therefore, high results show effectiveness of schools and low results show ineffectiveness of school. Effectiveness of school can depend on various items. High results can be achieved through creating positive environment, and giving motivation to employees and students. Students should be determined to learn new things (Shanker, 2014). The research aims to find out the leadership role for the school improvement. This case study was conducted in order to know about the principal best practices or steps that are taken in order to do the improvement in the school and that the school succeeded in improving in 5 years. What are the leadership styles that can contribute to school’s improvement? What are best practices for school’s improvement that are used by the school principle? While focused on the methodology, the mixed method research was used, as it is an embedded single-case study so that analysis was done in one of the private schools in Saudi Arabia, thus, the case study research method was focused through the descriptive or the explanatory question in the school. The data gathered the information in the school through the interviews, face-to-face interviews gave the insight about the views and leadership styles that the school’s principal and the vice-principal of the school have. There is the focus on to obtain the detailed information that plays important role in the clarifying the misunderstandings. Consequently, the data was conducted helped in order to know about the several leadership styles that were used for effectiveness in the school performance. The Multifactor Leadership Questionnaire (MLQ) was used in order to understand the leadership style. For the understanding of the principal leadership style and the other ten academic leaders, the focus was on the interviews and the questionnaires, thus, the principal and the other academic leader’s behavior and traits were focused on containing the 21 questions. The MLQ questionnaires, was based on the transformational and transactional leadership leader, as these two the factors analyzed the behavior of principal. The questionnaire was categorized in seven factors including the questions on Contingent reward, Laissez-faire and the management-by-exception etc. thus the questionnaire were classify under the two of the factors, which includes the improvement of instructional practice. The performance data or to gather the efficient data from the administration of the school, there was the use of the multiple resources of evidence as the observation was there for the understating, different type of data collection sources were used example, from the students records, questionnaires, reports and the interviews etc. The case selection was done so that the leadership styles of the principal can be able to meet a preset criterion; the analysis was done on the American International School – Riyadh, Saudi Arabia. Consequently, for that criterion purposeful sampling strategy is chosen because it is the best strategy, in order analyzed the behavior of traits of the principal and other leaders who were in the school (Amanchukwu, Stanley and Ololube, 2015). In order to participate in the case study, there were the suitable meetings and activities after the deciding on the convenient time. The main interview was taken by the principal and the other leaders in the school, the academic leaders participated in the questionnaire, however, the interview was only conducted by the principal and the vice principal of American International School – Riyadh, Saudi Arabia school (Scouller, 2011). The interview was digitally recorded as a proof so that the performance and to focus on the leadership style of the leaders. The MLQ questionnaire was electronically administered so that exact data can be focus; it was through using the online website. 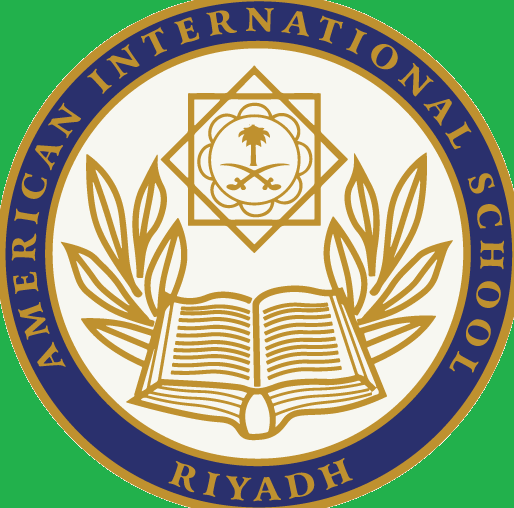 The American International School – Riyadh (AIS-R) is a private school and has a competitive position in the country, thus, the school follows the American-based curriculum so that the students can get the effective learning. The school also provides or focused on the Diploma Program in the country, the education is given from the grade 1 through grade 12. (AIS-R) was founded in the 1963 and the school has the license of the Saudi Arabian Ministry of Education because there is large number of the students in the school. In the start of school, there were very few students but the numbers of students have increased with the time because of the continuous effort of the administration and the leaders of the school. The principal and vice principal of the school is committed to provide the good quality of education; the school is focused on continuously improving because school have good reputation in different cities of Saudi Arabia. There are focus on the personal development and the social responsibility of the students, teachers are making student able to perform in the better way so that they could able to compete in the world, as there are learning and assessment of the students. Dr. Brian Matthews is the principal of the (AIS-R) school; she is serving in the school for several years and known for her best management in the school. Other senior management includes the Jessica D. Magagna, who is the president of the school. For the analysis, there is the need to focus on the results that we conducted, as the research is conducted through the qualitative and quantitative data, thus, the study methodologies based on the best practices for the school improvement in order to know about the leadership style of the principal of the school. The leadership role was focused on the school improvement so that the transformational and transactional leadership style can be known. The factors were analyzed to know about the behavior of principal. The leadership style of the principal and the other ten academic leaders is focused on the informal interviews and the MLQ response. The triangulation was used to validate results and the results were focused in order to ensure the reliability. Regarding focused on the ethics and the filling of the questionnaire; the research has focused on the ethical issues as the participants were concerned and asked to do the sign before conducting the interviews and questionnaires in order to access the leadership behavior. Moreover, with the consent form states the permission was taken, for the participation in the interviews. The questionnaires were voluntary based that also ensured to be anonymous. Concerning the ethics the permission was also taken from administer and the principal of the (AIS-R) school. The finding have focused on the result that we get from the school that how the principal of the school and other leaders are performing, there is the focus on the leadership style and attitude of the teacher. It is known that (AIS-R) school has the clear vision and plan for the teaching and learning standards. The research has to know about the last five years performance and measure for the school’s improvement. The principles, form last five years have shown the improvement as the results of the students in the school have improved and the vice principal of the Riyadh, Saudi Arabia focus on the every year improvement report. Through the last inspection report, the results we get tell that there is the attainment of the progress and the results have improved in the principal’s administration because the leadership of the teachers is determined. Focused on the performance of the 2015-2016, the students have improved in the learning skills as the teaching and assessment gave the good performance. In the Elementary phase, the school is able to meet the individual needs. The school is able to focus on the indicators that were discussed in the curriculum, thus, in (AIS-R) the mentioned goals are by the management and the principal of the school. The first indicator was to “to make students able to think creatively” the students are making able to think differently than the other students. Second inspection indicator was “developing alternative solutions to real world problem” so that students can find out the solutions of the problems. The third indicator “each student will communicate effectively” there are the efforts to make student able so that they could speak confidently in the world. The fourth indicator was “students do meaningful action in creating the inclusive, sustainable and peaceful world”. (AIS-R) stay focused on the indictor’s goals and the effective performance in 2015-2016. Through focused on the MLQ responses, the academic leaders gave the best results, as the inspirational motivation was on the high score, and improvement of instructional practice was on the high score, laissez-faire was also on moderate score, just the intellectual simulation and the contingent reward were on the low score. The administration of the school is majorly focused on the transactional and instructional because that is highly transformational and students are giving the better results. The interviews and observation gave the results that principal is focused on the best practices, in her administration of the five years; she gave the best principal’s actions that led the school towards the betterment, as the teachers and staff are working with the collaboration in order to get the effective results from the students. The principal of the school believes on the continuous improvement, the principal also focuses on the improvement of the teachers so that there could be better results in the school’s instructional objectives. For the success and achievement of the objective, the students are given time individually, so that they could compete in the real world and the real problem. For the professional development, the school’s objectives focused on the student behavior, as the indicator of the (AIS-R) school is based on the creatively, real world problem solution for the students and making them able to communicate effectively so that there could be the inclusive thinking. In the school, there is the focus on the evaluation that is done in the school periodically; the feedback is also given to the teachers so that they could improve. Principal motivates and encourages improvement of the teachers. Principal and other management believe that assessment of teachers should be done timely. The name of the school is American International School – Riyadh, so American Common Core Standards or US curriculum is followed in order to fulfill the special needs students. There are the modified lesson plans so that the students of AIS-R can compete with the other students in the world. In the AIS-R, there is focus on to provide the security to the students in the school so that parent should not have the issues, the students are providing with the care and proper guidance in the school. The leadership role by the managements shows effective, in the school’s environment. The overall performance of the school is good because of effective leadership and management style of principle. The principal at the American International School – Riyadh (AIS-R) has strategies and plans regarding management, a performance of students, discipline at school etc. All the other team members including administration and teachers are effective and love to work with the principals she supports, facilitate and encourage them to bring their best so the overall performance of the school and students can be improved. The school has effective communication system for the teachers, parents, and meeting with parents. Teachers and principal can easily communicate with each other with the use of proper channel like with the phone call, application, weekly and monthly basis so that the progress, weakness, behavior and improvement regarding students can be discussed with the parents. Moreover, school staff and principle have mutual understandings that help to deal with the challenges and maintaining the working environment at school (Wirba, 2015). Regarding the leadership style of principal that helps a school to have improvement, the ML questionnaires were designed for the principle to know her leadership styles and management styles. It is important for the school to have a principle that can lead school effectively and can maintain the performance level. The main purpose of ML questionnaire is to find out that to what extend the leadership style of principle is either transformational or transactional. According to the research and ML questionnaire, it was identified that the leadership style of principal is highly transformational and instructional rather than avoiding or transactional leadership style. According to previous researches, it is identified that in Saudi Arabia most of the school principals have transformational and instructional leadership styles rather than transactional. That means there is a correlation between the American International School – Riyadh (AIS-R) leadership style and other principals of schools in Saudi Arabia. The effective leadership style of principal helped a school to have continuous improvement, efforts, and high standards. According to literature, it is found that the informational and instructional leadership styles positively affects the school environment and have an influence on students to improve their performance in studies. According to literature, it is also identified that the principals some time have transactional leadership style because they want to meet the requirement and meet the designed standards of the school (Wirba, 2015). The leadership style, actions, and practices of principal at school were identified based on observations and interviews. It is identified that the effective leadership style that is transformational and instructional leadership style led the school to have high performance, effective working ad studying environment, the overall performance of school and collaboration between parents, teachers, and principal. According to observation and interview, it is identified that the principal has a charismatic leadership style that influences the behavior and performance of teachers at school. According to observations, it is also identified that the principle do not compromise on rules and regulations especially when a new teacher is employed at the school, the principal makes sure that she follow the rules, regulation, and standards of a school including religious values. This strategy also helps a school to have outclassed performance. Principle provides opportunities to a teacher to have training and s development programs in order to have continuous improvement in performance of a school. The principal has divided the leadership among other departments and supervisors so that continuous monitoring and improvement can be done. The principal’s division of authority, leadership, and responsibility shows the transformational and instructional leadership style that led principal to maintain an overall environment of school by solving issues, problems and conflicts. The main purpose of the study was to identify the leadership styles of principal and to find out the behavior, practices, and actions of principle in order to have high standards, high performance and effective working environment at school. The research was done at The American International School – Riyadh (AIS-R) and other schools in Saudi Arabia. According to observations and results from ML questionnaire, it is identified that the principal has informational and instructional leadership style that helped in improving the performance of a school. The focus of the research is to known about the last five years performance and measure for the school’s improvement. The research has selected the American International School – Riyadh (AIS-R), which has a competitive position in Saudi Arabia. The school follows the American-based curriculum and the leadership style of the principal Dr. Brian Matthews and vice principal with the other staff of the school. According to literature, it is identified that there is a strong relationship between the transformational leadership style and teachers effectiveness. The transformational behavior of principle also helps students to have achievements. The strategies, plans, rules, regulations and standards at school showed that principle gives importance to teachers and students as they are important o improve the standards and to improve the performance of a school. There are major limitations of the research, as there was very limited time for observation and the analysis was done only on few people. There are MLQ responses, there can be few errors but there were only ten leaders with the principle and vice principle of the school, from whom the survey or the interviews were taken. The five-year administration may not give the accurate results regarding to the leadership that was performed in the school, thus, the concerned school should be focused on the longitudinal studies. Moreover, there were the absence of the stakeholders, as the students of the schools and their parents are not consulted, which can be a big limitation in study, because reviews taken from others can provide with the better results. Alhareth, Y.A., and Ibtisam, A.D. (2014) ‘The Assessment Process of Pupils’ Learning in Saudi Education System: A Literature Review’, American Journal of Educational Research, vol. 2, no. 10, pp. 883-891. Alnahdi, G.H. and Abdulaziz, S.b. (2015) ‘Educational Change In Saudi Arabia’, Journal of International Education Research, vol. 10, no. 1, pp. 1-6. Alqahtani, M.M.J. (2010) ‘Attention-deficit hyperactive disorder in school-aged children in Saudi Arabia’, Eur J Pediatr, pp. 1-5. Amanchukwu, R.N., Stanley, G.J. and Ololube, N.P. (2015) ‘A Review of Leadership Theories, Principles and Styles and Their Relevance to Educational Management’, Management, vol. 5, no. 1, pp. 6-14. Beycioglu, K. (2014) Multidimensional Perspectives on Principal Leadership Effectiveness, IGI Global. HASAN, T. and GUPTA, P. (2013) ‘Assessing the learning environment at Jazan medical school of Saudi Arabia’, Med Teach. Nahhas, M., Bhopal, R., Anandan, C., Elton, R. and Sheikh, A. (2012) ‘Prevalence of Allergic Disorders among Primary School-Aged Children in Madinah, Saudi Arabia: Two-Stage Cross-Sectional Survey’, Journal Pone. Rukban, M.O.A., Khalil, M.S. and Al-Zalabani, A. (2010) ‘Learning environment in medical schools adopting different educational strategies’, Educational Research and Reviews, vol. 5, no. 3, pp. 126-129. Scouller, J. (2011) The Three Levels of Leadership: How to Develop Your Leadership Presence, Knowhow, and Skill, Management Books 2000. Shanker, S. (2014) Broader Measures of Success. Measuring What Matters. Smith, B.S. (n.d) ‘”The Role of Leadership Style in Creating a Great School.”‘, SELU Research Review Journal, pp. 65-78. Voon, M.L..e.a. (2011) ‘”The influence of leadership styles on employees’ job satisfaction in public sector organizations in Malaysia.”‘, international Journal of Business, Management, and Social Sciences, pp. 24-32. Wirba, A.V. (2015) ‘Leadership Style: School Perspective in Cameroon’, Education Research International.